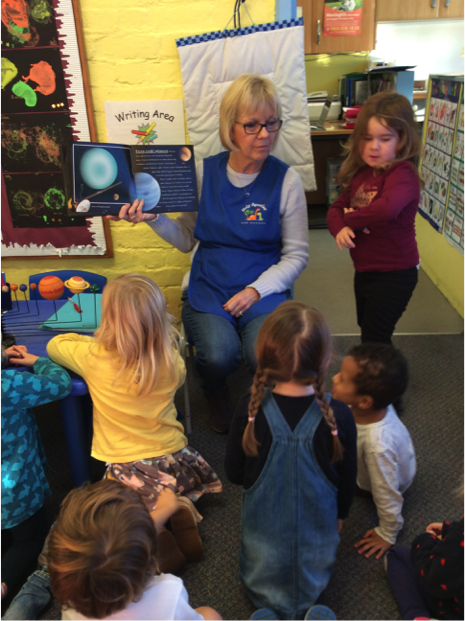 At Holy Apostles’ Pre-school Cheltenham we have been finding out about our solar system. 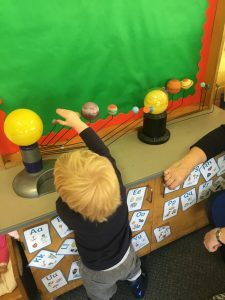 Some of the children wanted to find out more about the planets. The children were introduced to our model orrery and even the youngest showed an interest. 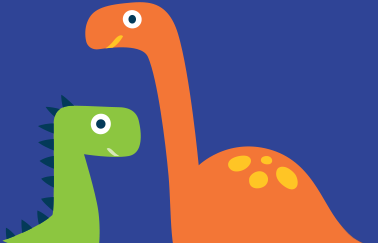 They learnt that the sun is a star and there are nine planets in our solar system, which revolve around the sun. We have an orrery, which lights up and we set the planets in their correct positions for the time of year and set it spinning! The children quickly learnt the names of the planets and their order from the sun. Elliot is deciding whether he would rather live on Mercury than Planet Earth! We created beautiful planet pictures by bubble printing and named the planets that we had learnt about at carpet time. 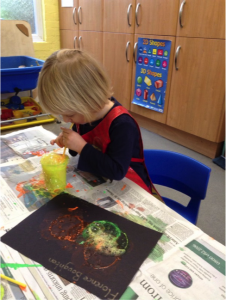 We used bright fluorescent paints to blow bubbles and pressed our black card on top of the bubbles. 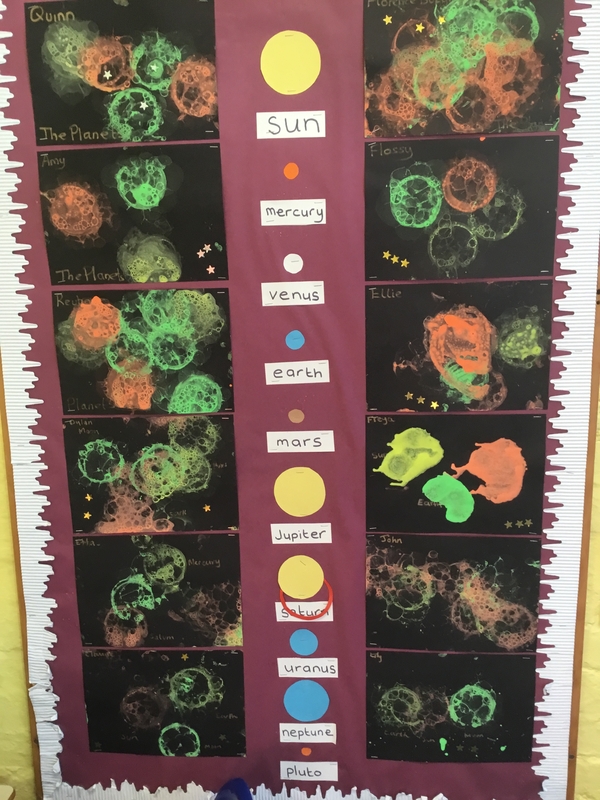 Our pictures make a lovely display and helped us to learn the names of all the planets. 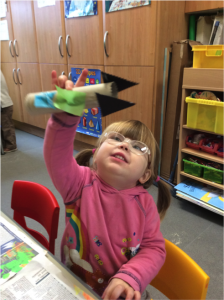 During the next week Holy Apostles’ pre-schoolers were off on a mission in space so they needed to build some rockets to take them there! 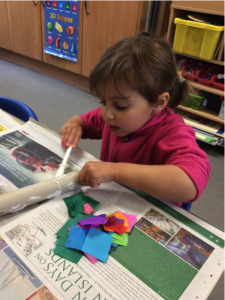 Our parents were asked to send in empty kitchen rolls so that we could make our rockets. We thought about the shapes we were sticking on them and chose colourful tissue to decorate them with. We learnt lots of interesting facts about the planets and now know that Jupiter has hot spots and Pluto is a dwarf planet. We know that Saturn’s rings are made of ice and it is only visible with a telescope. 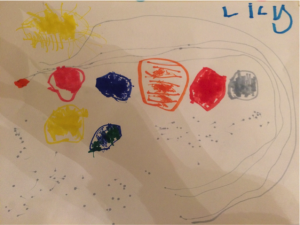 Some children wanted to draw their own solar system after looking at the books and orrery. We have really enjoyed finding out about the planets and our parents have helped us to learn more at home by looking at books and using the internet. 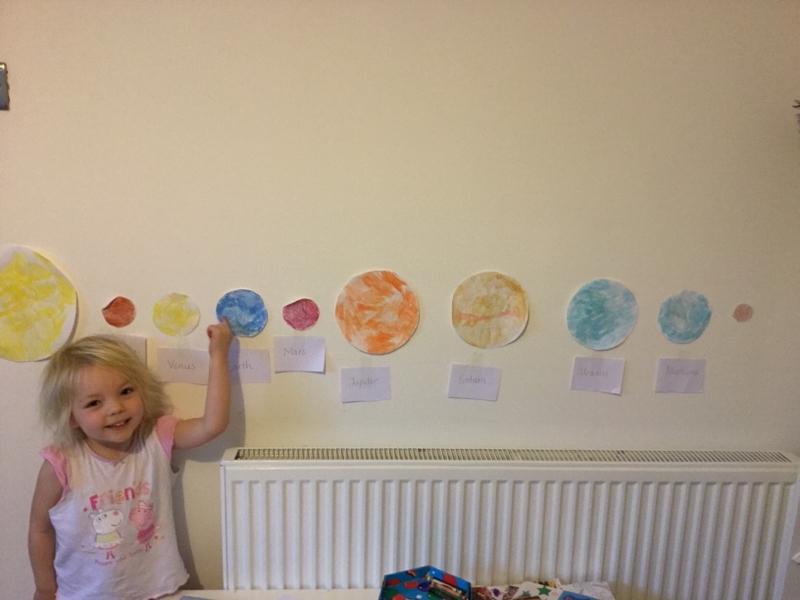 Some parents have followed their children’s interest by decorating their playroom walls with cut out planets! Well done everyone; this has been a fun learning experience. Don’t forget to look up at the night sky, when it’s clear, to see what you can spot! 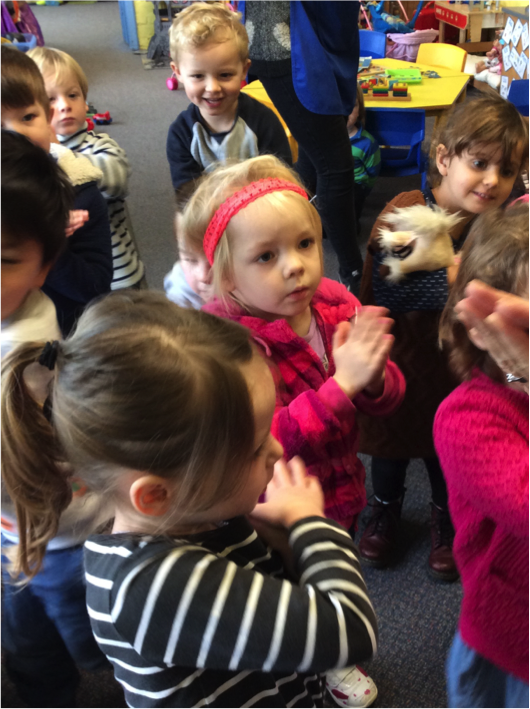 Preschool Learning Activities: Transport and Fire Safety!